This easy-to-use AE31 includes a Complete EPI Fluorescence attachment, and is ideal for any educational application where bright, clear images are required. 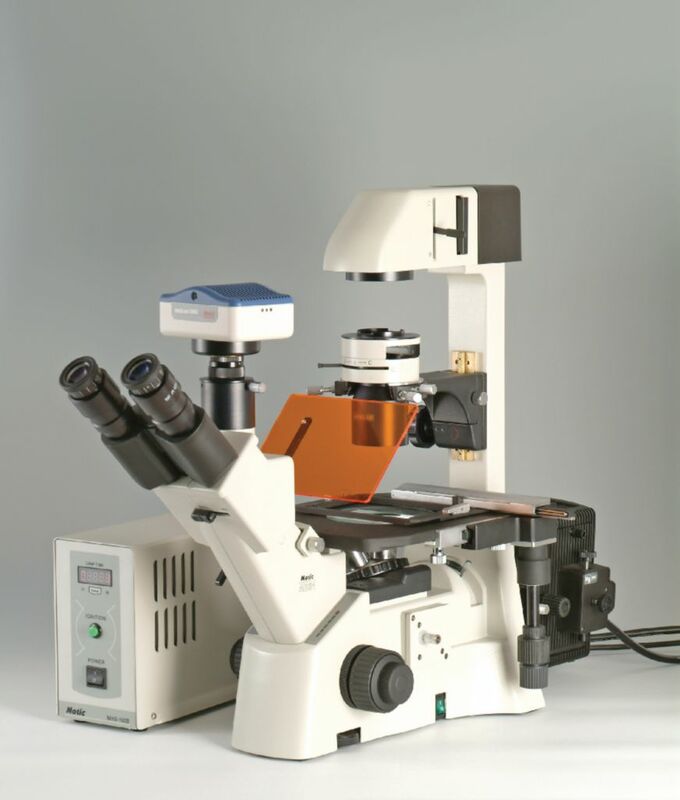 The AE30/31 is an inverted microscope for the routine realm, but offers upscale research functions, such as fluorescence and an externally mounted and centrable 30W/6V halogen Koehler illumination. Complementing the uniform illumination is the ELWD 0.30 N.A. condenser with its 72mm working distance for large sample and carriers, which can be adjusted and centered to provide the optimum amount of illumination for each sample. 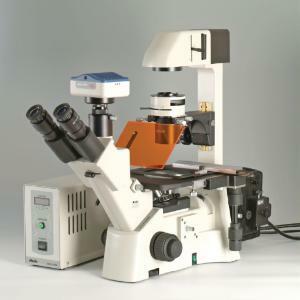 Furthermore, the condenser is equipped with a slider stop for the equipped standard centrable PH 1 and PH 3 Phase slider. An optional LWD 0.50 N.A. condenser [WD=28mm] is available should the need arise.